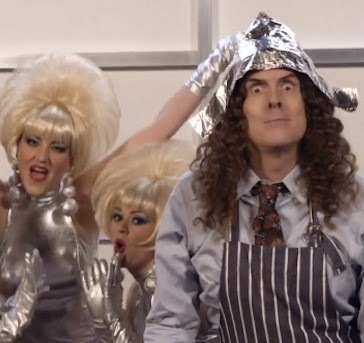 Not sure exactly WHY but I have always enjoyed Weird Al's parodies and, since I really enjoy the song Royals by Lorde, I clicked on Weird Al's Foil with interest. Turns out that Foil is a fun video, with a twist in the middle and at least one moment that is mildly offensive. Foil is part of an album that Weird Al is releasing this week called Mandatory Fun. You can check Mandatory Fun out here, on Amazon. Learn more about Weird Al's Mandatory Fun on Amazon by clicking here. Watch Weird Al's eBay song.